Hello, tech enthusiasts. That time of the year is coming again when you will get to see flagship smartphones from big smartphone companies like Samsung and Apple. Also, we can’t forget about another brand, the ones who made Android, Google. Yes, tech peeps, this year Google is coming with its update of the flagship range the Google Pixel 2. Google Pixel 2 might be released this October if we closely look at the smartphone launching time of Google from previous years. This year, the price might be higher than the previous year which means the buyers have to pay a hefty price for it considering the price of the first generation of Pixel phones started from $649 and $769 for the basic and XL version. Though the phone seems like it will be priced pretty high but the specs of the phone justifies the price. Sources say that the phone is going to be the first phone to rock Snapdragon 836 which is to 10% better performance than the Snapdragon 835. Even the last year, they were the first to launch with Snapdragon 821. It is also going to have 4GB RAM for multi-tasking as well as 128GB ROM to not run out of storage in a small amount of time. Nowadays almost everybody gets to know what the specs and price of the smartphones might be. 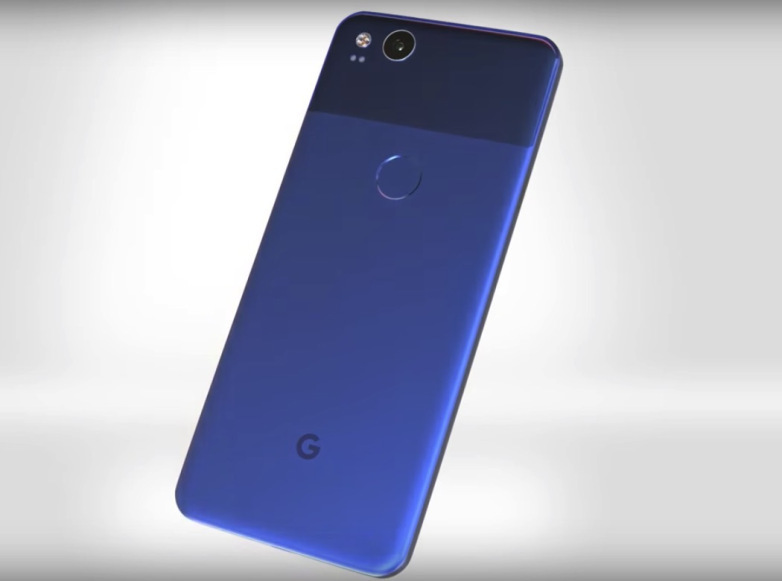 This time what everybody is excited about is the Google Pixel 2 screen and nobody knows what the size, resolution or type of the screen might be. Some speculations say that the phone might be a curved screen 5.6-inch display with the aspect ratio 18:9 with a 2560 x 1312 resolution. Another source claims that the basic Pixel 2 will come with a 4.97-inch screen and the larger model will be launched with a 5.99-inch screen. It is most likely to have AMOLED display or OLED display for better picture quality. The phone is going to have a rear facing fingerprint scanner as it was seen in the previous generation of the phones. There is a high chance of the phone being water resistant and with very tiny bezels to keep up with the flagships this year. The thing that enthusiasts are hating the most is that the phone might remove the 3.5 mm headphone jack. It is very weird to see this coming from a company which literally roasted Apple last year for ditching the headphone jack and boasted about Pixels having the headphone jack. Though it is not confirmed but there are huge chances of it being true and if it is true they will have to face the retorts. Now coming to one of the most important aspects of phones these days, the Camera. Leaks suggest that it will have a 12MP rear and a 7MP front camera. The rear one will have a 4K video support and front one might support up to 1080p. The battery might also be bigger than last year’s. At least, it be the same as phones if previous gen.
Android enthusiasts like the phone for letting them experience pure Android without any kind of bloatware and unleash the real power of phone. It is not going to be indifferent this year. We hope to see the phones soon and let’s see if it can match up with the latest ones from Apple and Samsung. A college student who loves tech.A master of procrastination and possess the talent to binge watch big bang theory or friends. A noob at using photoshop and illustator and plays rocket league all the time.